How to use keyboard as mouse ? Whether your mouse breaks, runs out of batteries, or if you want to have an alternative way to the cursor, you can use the arrow keys on the numeric keypad. Before proceeding, make sure the Num Lock feature is toggled on by pressing the key until you see an indicator light, or can type numbers with the keypad. Press Left Alt+Left Shift+Num Lock on your keyboard at the same time. When the window appears, press Spacebar or Enter. 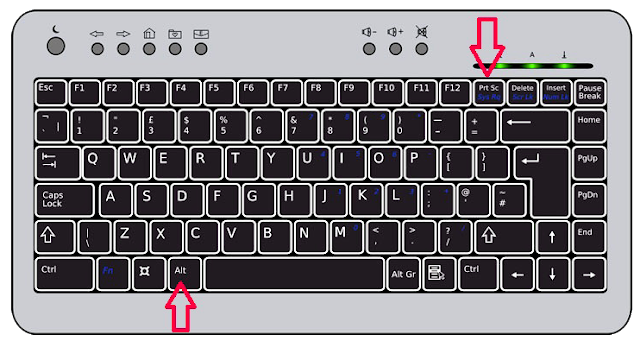 The following table shows each of the keys on the Numeric Keypad and how they interact with the mouse cursor. Make sure you're only using the Keypad to execute these actions. Drop the item you are dragging : Press .